Telephones are nothing new. They have been around since the turn of the 20th century, providing us with connectivity and convenience. Today, an average person can have a whole slew of phones and a different number for each. Maybe you have a mobile phone, home phone, and a work phone. This can lead to problems. You have to keep a bunch of numbers committed to memory and give an acquaintance the appropriate number. If they are a co-worker, probably your work number, a friend, your mobile, and so on. Wouldn’t a single number that you can give to everyone and filter the calls to each phone be great? Well, you’re in luck. Google Voice offers a solution for how to set up call forwarding. To get started, you’ll need a Google Voice account. You will need to get an invite from a friend, or you can request one here. Once you have an account, log in with your username and password here, to choose a number. You can then choose a number, any number in fact, as long as it is available in the database. 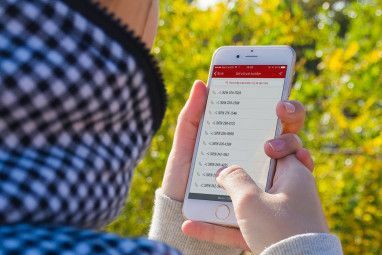 After you have a number chosen, the method how to set up call forwarding with Google voice starts with adding existing numbers to your voice account. Adding home, mobile, and work numbers for Google phone forwarding is a very straight forward and easy process. To do this go to “Settings” at the top right and then click on the “Phones” tab in the main panel. You should see the following. Hit the link to add a phone and follow the steps. You will have to confirm the number either by having Google Voice call you and prompt you with a confirmation number, or by receiving a text message with a confirmation number. 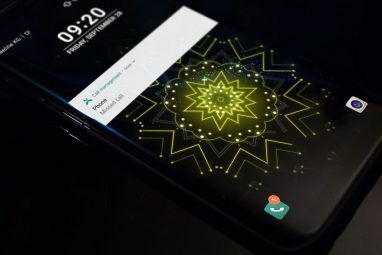 This is done for security reasons and may seem like a hassle, but such precautions keep people from redirecting calls to other people’s phones without permission. After you have added a phone or two, it’s time to take advantage of Google Voice’s phone call forwarding. Still in “Settings,” hit the “Groups” tab. You should then see the following screen. You should have the base groups that you see. But you can also add and take groups away, so you can get creative. Hitting “Manage Groups” should take you to your contacts list. Hit the add group key that looks like this near the top. Then just type the name of the group. Then you can add contacts to that group or another. Now that you have your groups set up, you can set which of your phones get rung up when someone in each group calls. Getting back to the “Groups” tab under “Settings,” hit “Edit” under the group you want to change. You should see something like so. Then hit “Edit” next to “Ring Default phones.” Here you can change which headset will ring based on which group the caller is in. Say, when your mom calls, you want to make sure you get the call. Well, have your mom in a group that rings all your phones. How about your bummy friend that always wants to borrow your car, especially when you’re out on a date? Have his calls ring up just your work or maybe just your home number so you won’t be disturbed. You have a lot of possibilities here, especially if you have a lot of headsets. Even better still, no longer do you have to give all these people different numbers to achieve these goals. You merely give them your Google Voice number, and our friends in Mountain View take care of the rest. 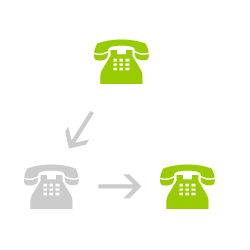 Know of any other cool ways how to set up call forwarding in Google Voice? Let us know in the comments below. Explore more about: Google Voice, VoIP. i didn't know call forwarding is possible with google voice. i am trying it out right away! I appreciate your constant update on the telecom trends. I represent PBX Plus (http://www.pbxplus.com) which is based on the award winning (Best of Show for SMB at IT Expo, LA 2009) platform â€“ InVox (http://www.invox.com). We would like to see you signup and review PBX Plus. I would be happy to add a FREE US or UK number with unlimited minutes to your account. Your number would greet your callers with â€œThanks for callingâ€¦ Please say the name of the person or department you are trying to reach.â€ Caller can just say your name â€œâ€¦â€œand call will be forwarded to your mobile, landline or Skype account. 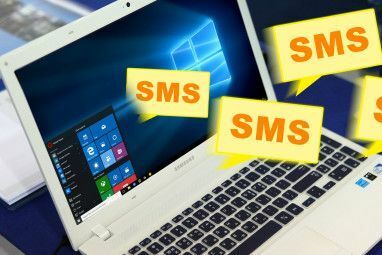 It works with my Skype, offers free speech recognition, voicemail and voicemail transcription, eFAX (Fax In), Fax Out, Outbound FAX, Fax on Demand,unlimited extensions and sub-extensions etc. The drag and drop designer (visio-like) can be used to configure PBX in just 15 mins. Wizard configures the PBX based on the answers to each question about your business. So, Google Voice is now our answering machine for my family's home phone. Anyway, now our phone rings a set number of times, and then forwards to Google voice (normal call forwarding just forwards all calls with out the option of picking it up). It's a very cool work around till they get number porting. Oh, it does cost some a month to have this special call forwarding, but it was about the same as our old voice mail. you forgot to mention "...Please note that Google Voice is only available for sign up in the US." I love this feature. Have been using Google Voice for over a year now and it is fantastic.